The children choose a card, tell where they will put the pumpkin, and put it in the pictured place. OR, "hide" the pumpkins in the pictured areas. 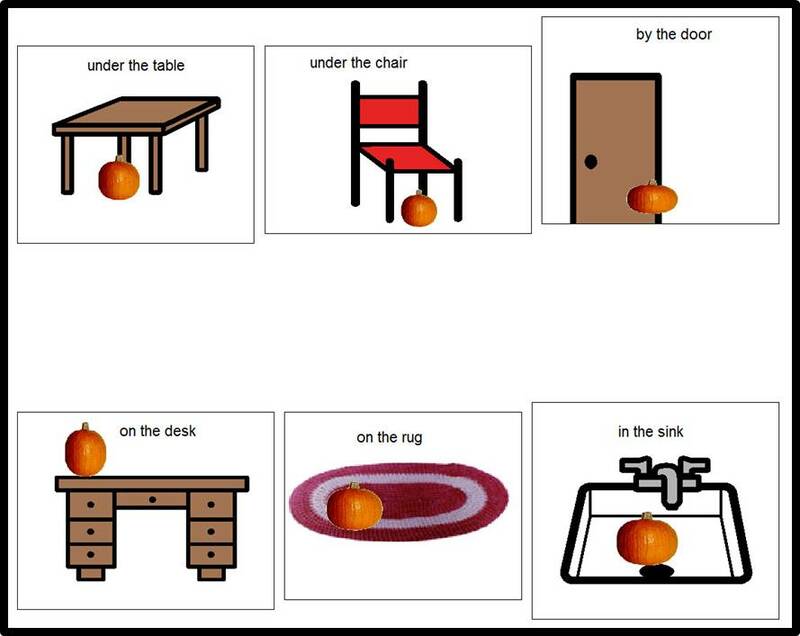 Let the child find the pumpkin and using the picture for support, tell where the pumpkin was found. I reused this activity several times a year. The pumpkin could be an apple, a baseball mitt, or a shamrock. You must have Boardmaker to download this activity from BoardmakerOnline.com. If you don't have Boardmaker, take pictures of a small pumpkin in various places in the room for the same results. Thank you! I look forward to your fall activities.